John Glenday has published four collections of poetry: The Apple Ghost (Peterloo Poets, 1989), which received a Scottish Arts Council Book Prize; Undark (Peterloo Poets, 1995), which was a Poetry Book Society Recommendation; Grain (Picador, 2009), shortlisted for both the Ted Hughes Award and the Griffin International Poetry Prize; and The Golden Mean (Picador, 2015), shortlisted for the Saltire Scottish Poetry Book of the Year and Winner of the 2015 Roehampton Poetry Prize. Del Monte, Green Giant, Fray Bentos, Heinz. From this seemingly light opening, the poem develops into a meditation on forms of containment, which touches on the Arctic explorer John Franklin, nuclear waste, tinned peaches, and, implicitly, the history of the love poem itself. 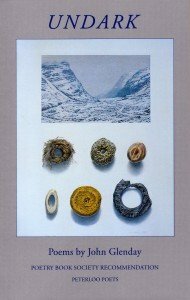 The idea of the ‘strangely familiar’ seems, in many respects, descriptive of much of Glenday’s work, in which aspects of everyday experience to which we become habituated — time, weather, language — are scrutinised so closely, and with such patience, that their basic, irreducible oddness is restored. That this activity of poetic composition is sometimes presented as purposeless, meaningless, or like speaking into a void (as in the conclusion of ‘Imagine you are driving’) only reinforces the impression that these are remarkably intimate poems, both in their hopeful address to the reader and in what they disclose; an impression only deepened by Glenday’s careful, gentle readings of them. John Glenday's recording was made at The Byre on Nov 18th 2016. The Apple Ghost. Peterloo Poets, 1989. 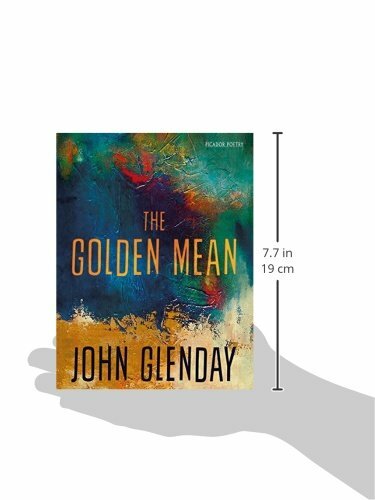 The Golden Mean. Picador, 2015.